The 2” series? Yes…actually, yes. I have these strips in my sewing room and they are in the way. The best way to get rid of them is to use them. This one is quite similar to another one I made - Circling the Nines -#25 - (I’ll show you later)..but with some differences. Enough so I was willing to call this a different pattern. 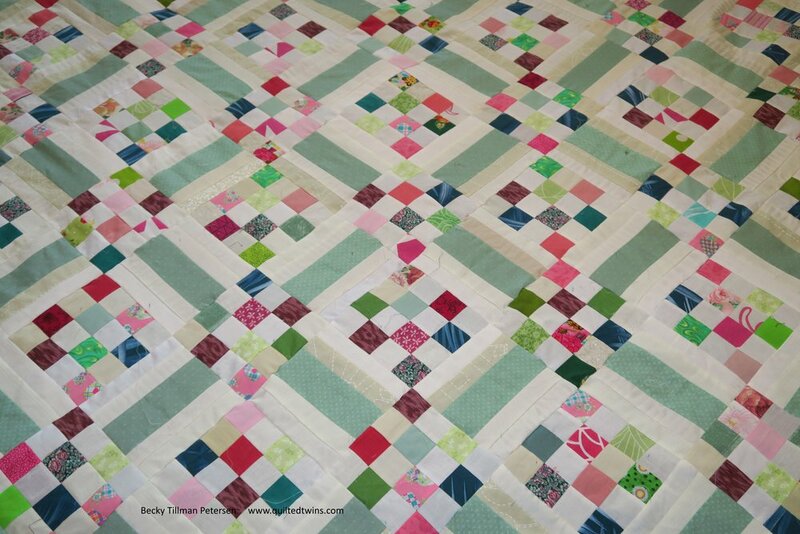 It’s not a hard quilt - it’s a rail fence block, a 16 patch checkerboard block and side setting triangles. I did write up the pattern. It’s here. 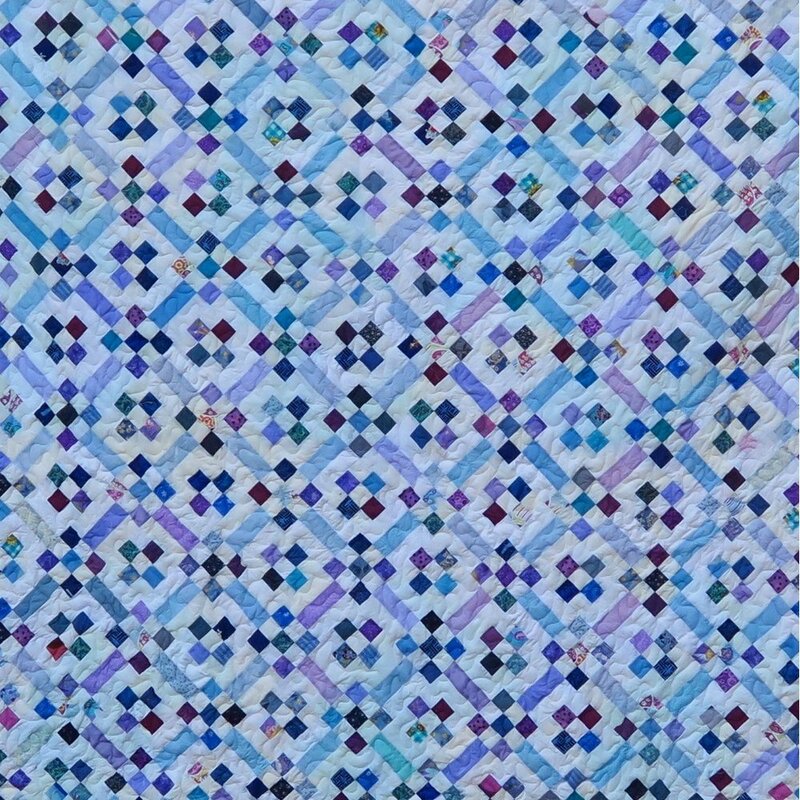 I don’t have all 64 of the patterns up from my 2” series but I do have most of them. 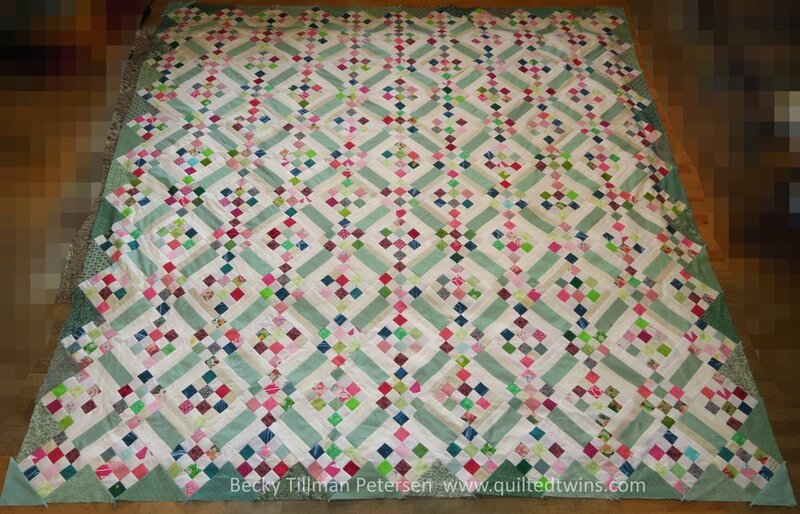 I will never have all 64 because one of the 2” series was taken from Moda’s website and I changed it from 2.5” (theirs) strips to 2” strips (mine)- so I won’t write that one up- ever (Lawn Chair Quilt - #7 ). Anyway…The top/pattern is done. Use it if you can! The link is above. Have a wonderful day wherever you are reading this!